[December 8, 2016] On September 2003 a 15 years old boy complained of torture by officers of the Saliyawewa Police Station alleging that officers made him sit on ant hill, for about 20 minutes and thereafter was hung from a beam with his hands tied behind his back with a rope, and beaten him accusing him of stealing a necklace. The next day the police found the actual culprit and apologised to the family of the boy, for treating him even worse that a criminal. The Attorney General filed an indictment under the Torture Act (CAT Act), against two accused, the officer in charge of the police station and a Grama Arakshaka Niladharicharging them of torturing the boy. The trial of this case ended on the 17th of November 2016 and the Judgement was passed on the 30th of November 2016. At the end of the prosecution’s case, the Defence Counsel for one of the accused made a submission misrepresenting the evidence that was available in the case record and on the basis of this submission the trial judge came to the conclusion that while the torture on the boy was proved, the identity of the two accused has not been proved. However, five prosecution witnesses who knew the two accused previous to the incident have identified the two accused and given detailed evidence of what each of the accused did. The Trial Judge who was the 6th Judge to hear parts of this case, had part or little knowledge of the evidence that was available and acquitted the accused without going through all the evidence that was available and summing up such evidence as he is required to do. 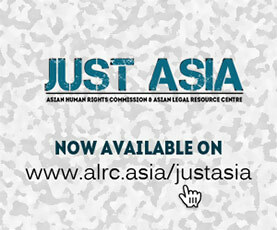 “…The Asian Human Rights Commission has been made aware of the said acquittals and the Commission has carefully studied the evidence given by all the witnesses in this case and is shocked by the manner in which the Trial Judge has failed to refer to detailed identifications consistently given by prosecution witnesses. The incident of the torture of the then 15 years-old Virtual Complainant, took place on the night of the 1stof September 2003. The Final Judgement was made on 30th November 2016. 13 years have lapsed between the date of the incident and the date of the judgement. Six Trial Court Judges have heard parts of the evidence in this case. The Trial Judge who wrote the final judgement has heard only very small portions of evidence of the case. That may be the reason why he allowed himself to be misled by a Defence Counsel’s submission to the effect that there was no acceptable level of identification of the two accused. The Trial Judge clearly failed to read the case record and to find out for himself what the witnesses in fact said. Clearly in this case the trial judge failed in his duty. The evidence of the following witnesses on identification of the two accused has been not referred to at all by the Trial Judge. That is, the evidence of the Virtual Complainant Daundalage Pushpakumara; evidence of Senapathi Mudiyanselage Dingiri Menika, the mother of the Virtual Complainant; Evidence of Miyenapalawe Gendera Indira Kumari Weerasinghe, the elder sister of the Virtual Complainant; the evidence of Senadipathi Mudiyanselage Senevirathna, an uncle of the Virtual Complainant; and the evidence of Vithanage Ishantha Pushpakumara, the cousin of the Virtual Complainant. Altogether, five witnesses have given direct eye witness evidence and identified the two accused. Four of these witnesses, have named the first accused as ‘Mr. Samarakoon’ and stated that they had previous knowledge about the identity of the 1st accused. The second accused was identified by three of the 04 witnesses as the barber’s son, whom they knew for a very long time. The Virtual Complainant identified the 1st accused as ‘Rathu Mahaththaya’ and ‘Loku Mahaththaya’ many times during his evidence. At no stage have any of these witnesses said that the two accused were not known to them. Thus, there were no doubts about the identity of these two accused at any stage of the inquiry or trial. The Defence failed to get any contradictions of the said evidence of these witnesses. The learned Trial Judge also misled himself in allowing the application of the Defence Counsel for not calling a defence from the two accused and to act on the basis of Section 200 of the Criminal Procedure Code. On the basis of overwhelming evidence in this case on all aspects relating to the charge, there was no ground at all for the Trial Judge to act under Section 200 of the Criminal Procedure Code. It was the duty of the Trial Judge in the face of such overwhelming evidence led by the prosecution to call upon a defence and to make assessment of all the evidence and then arrive at a final judgment. If Section 200 of the Criminal Procedure Code is allowed to be misused in this manner, there would hardly be possibility of conducting any successful prosecution. If Criminal Trials are allowed to be degenerated to this extent, it would be no exaggeration to say that there is no future for grounds to have faith in the criminal justice system of Sri Lanka. Obviously this is an exceptionally bad judgement. The first accused was also the Officer in Charge of the police station. When the Trial Judge held that the torture in this case has been proved, the Trial Judge should have also have considered the duty of the 1staccused as the Officer in Charge of the Police Station to reveal to the Court all the details that he was aware of, about the torture that had taken place within his police station. That was a very good reason as to why the Trial Judge should have called on a defence and asked the 1st and the 2nd accused to explain the torture that took place within the police station. Errors of law and fact in this case are very many. They are of grave nature. We respectfully submit that the authority that is placed on you as the Attorney General creates an obligation on your part to intervene in this case. During the 13 years which passed between the original incident and the trial, 13 State Counsel represented the prosecution. The last State Counsel would also unfortunately not have direct knowledge about what happened in the case. He had directly participated only in a very little portion of the trial. If any of the original State Counsel who had very ably led the prosecution case, were to be present when the Defence Counsel made his submissions, they would have clearly contradicted that submission by bringing to the notice of the Trial Judge the detailed evidence that was available on the identification of the two accused by all the prosecution witnesses.